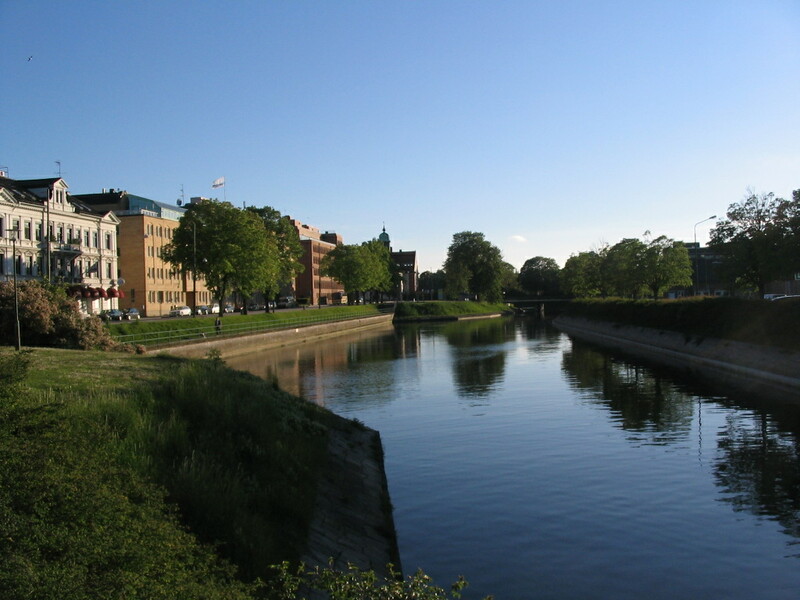 From the harbor I proceeded west along the connected western Harbor Canal (Västra Hamnkanalen). 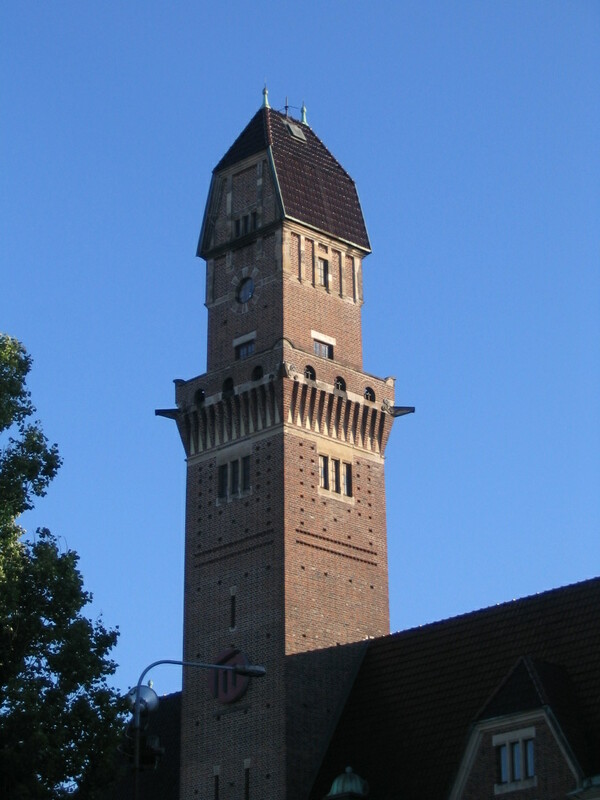 This is the tower of the main landmark at the southwest end of Inre Hamnen, the old Harbor Office (Hamnkontoret), designed by Harald Boklund, now part of Malmö hogskola. I really like the hip roof/campanile fusion. It's so quirky~! 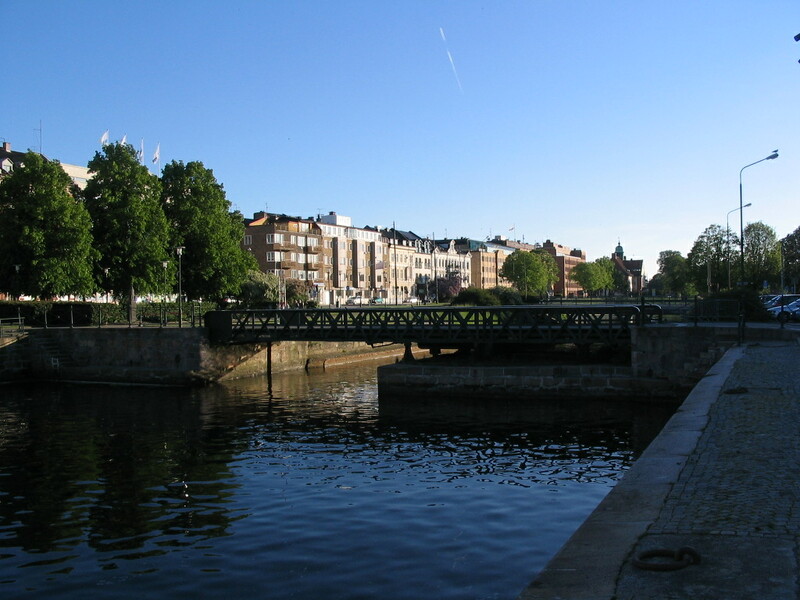 A look over to the edge of the old city center along the south side of the canal, approaching Älvsborgsbron. 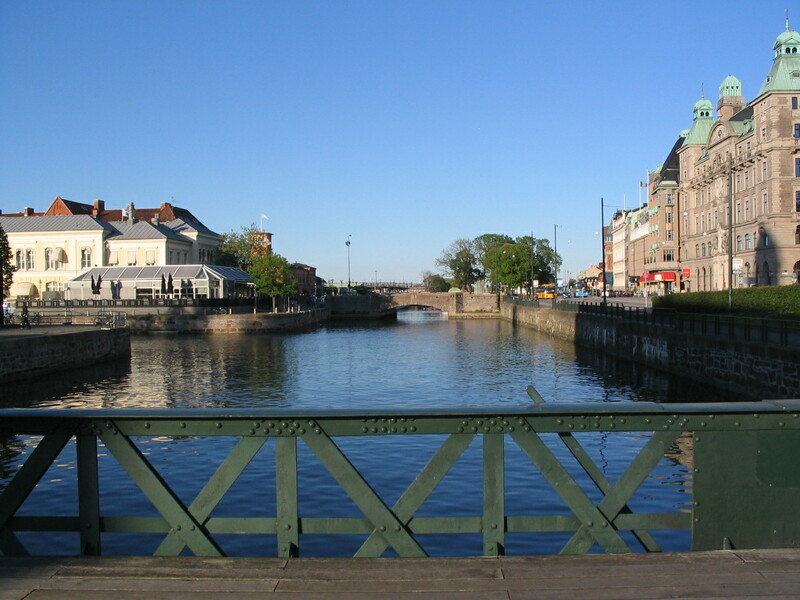 Looking east over Hamnkanalen from Älvsborgsbron, with the connection to Inre Hamnen to the left. 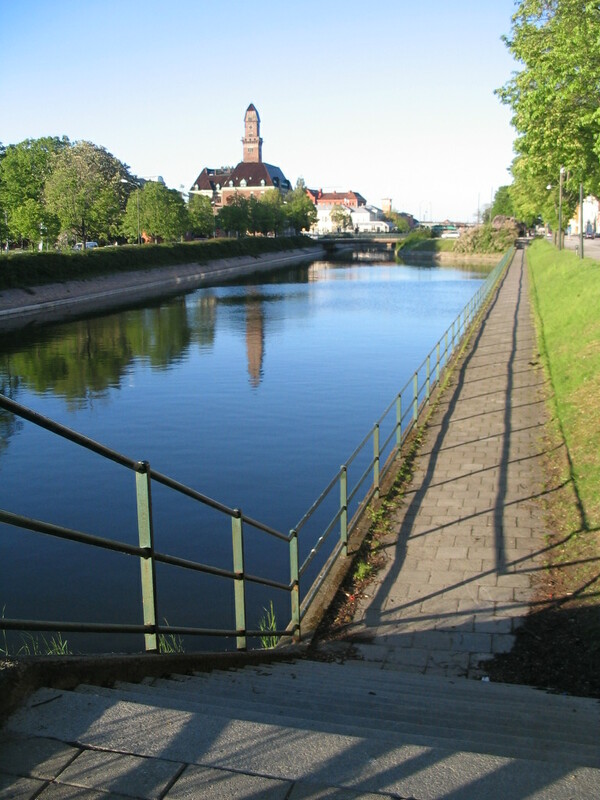 Another canal view with some cool angles from the next bridge west, Hovrättsbron. 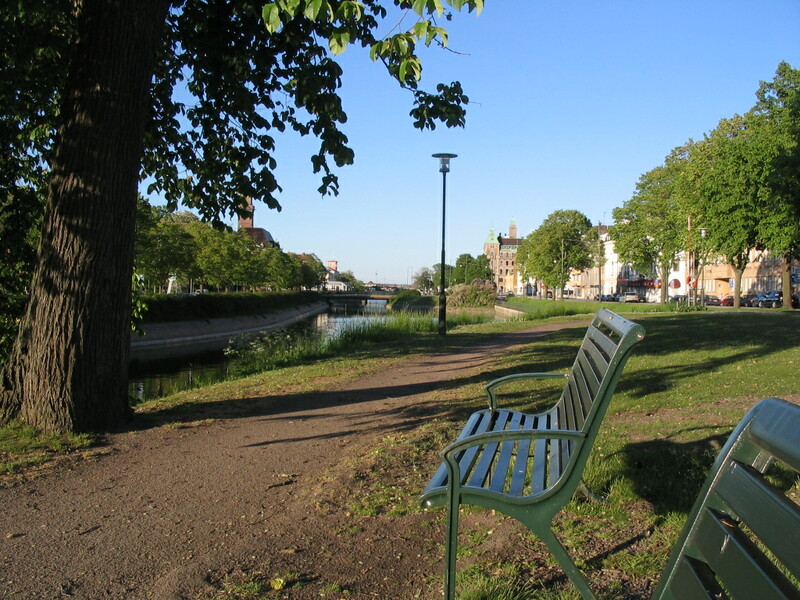 I sat down at these benches to have a picnic dinner. This may be a somewhat alarming apparition, dear viewer, but it was SO TASTY, and the deliciousness was augmented by the idyllic dining location. 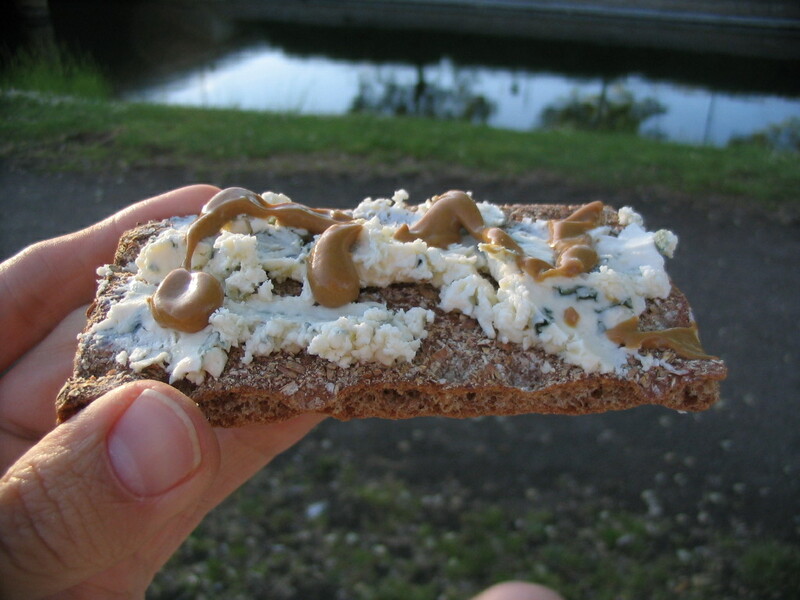 The cheese was Aura blue cheese that I'd gotten in Turku; it was wonderfully salty and pungent yet, to my delight, lacked normal blue cheese flavor, which I dislike. I look forward to finding more of it sometime. 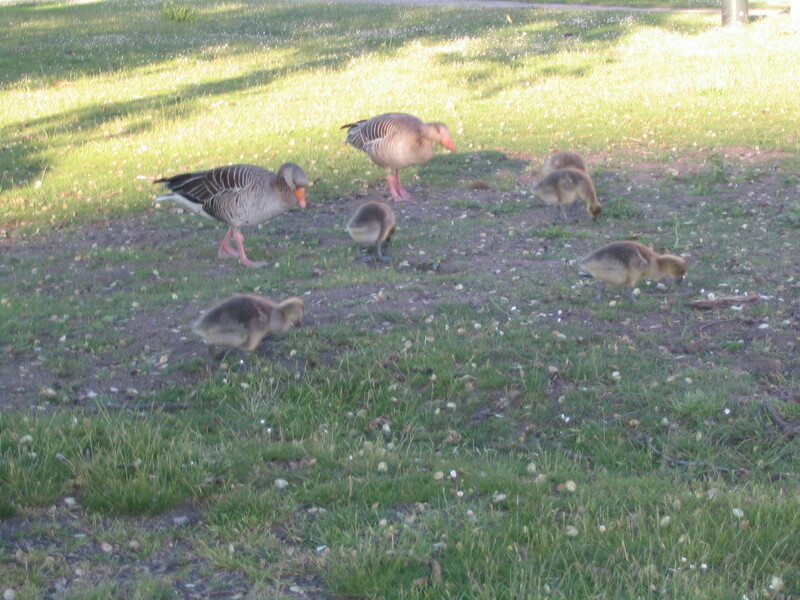 Some li'l fuzzsters showed up with their folks; it was suppertime for them as well. 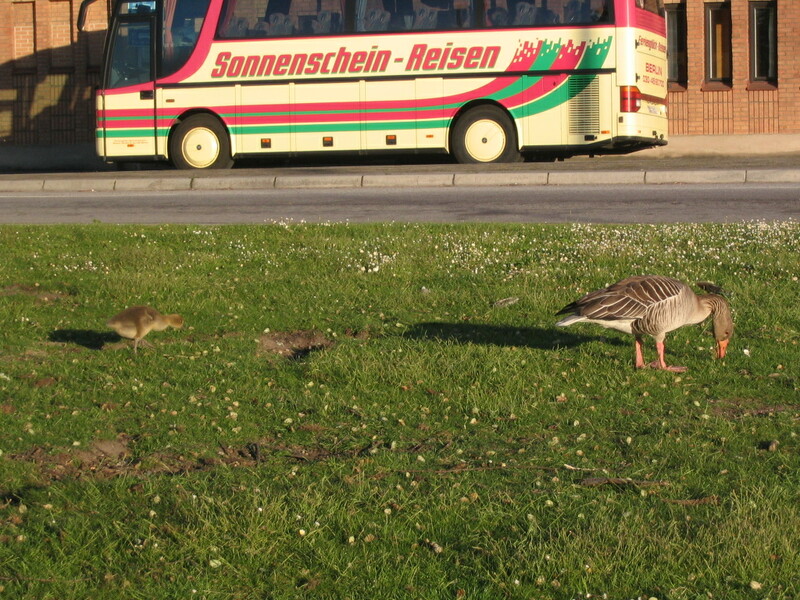 Gans und Gäschen vor dem Berliner Reisebus (#foreshadowing). 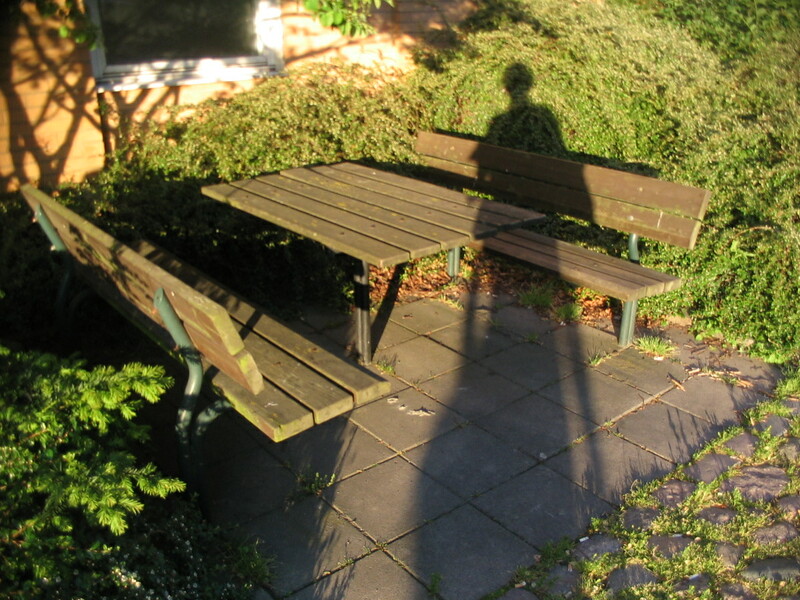 The picnic table that I finished my supper at, having migrated there, gooselike. 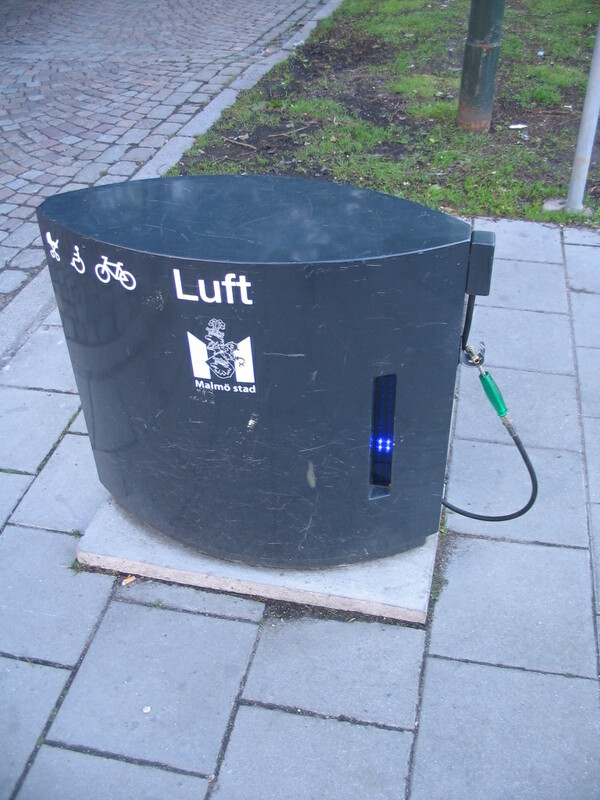 This air pump was right at the entrance to Kungsparken, a park at the western edge of the old city. It's a nice idea to have it at a pivotal location (a crossing between city and park) for human-powered, rubber-wheeled vehicles. 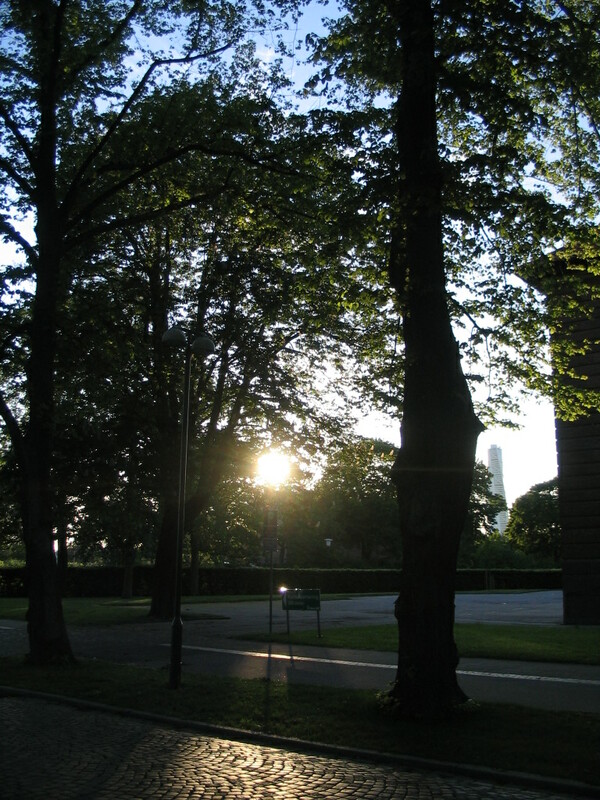 In Kungsparken, late sun with a Turning Torso apparition. 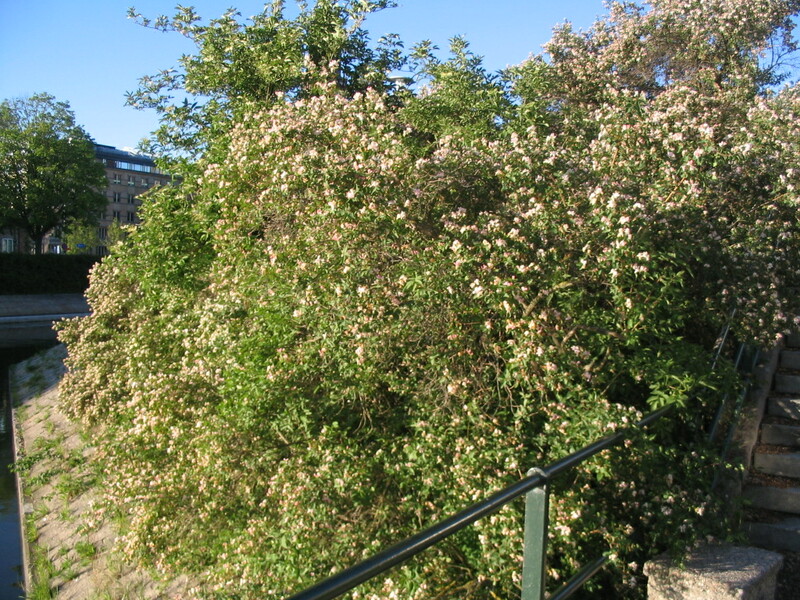 Blossoms! 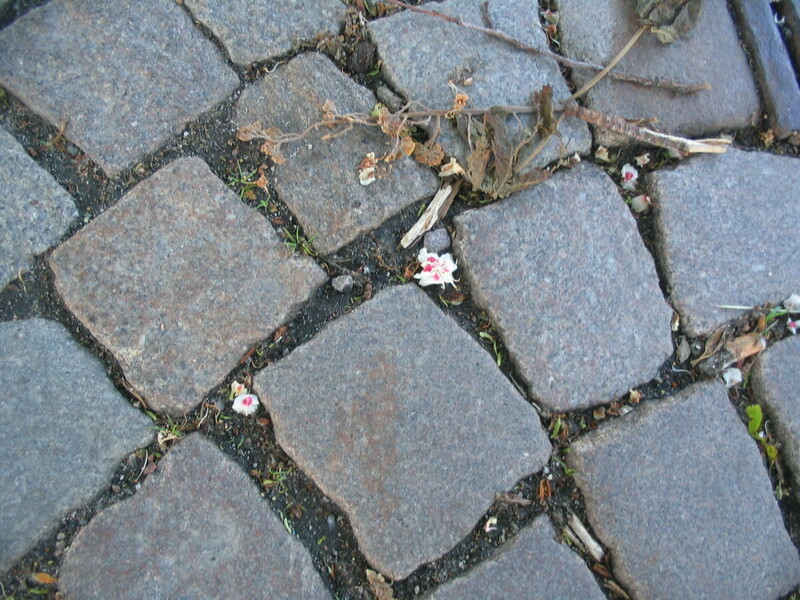 I'm not sure what they were, but they look rosaceous.